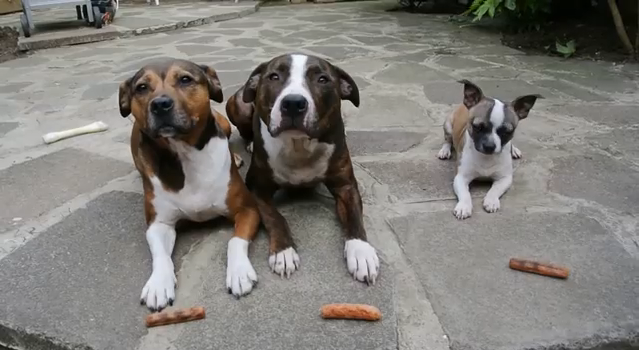 Three adorable dogs - Jess, Buster, and Elmo - are waiting for their master to give them their own shares of sausages. After getting a sausage each, all three will then have to further wait for their master's signal to start eating. Being the nasty thief that he is, Elmo who is a chihuahua, decided to keep all sausages to himself.